Fans of Clueless will want this boxed Clueless Whatever 11 oz. Mug handy on their desk as a subtle and silent way of expressing their true opinion. 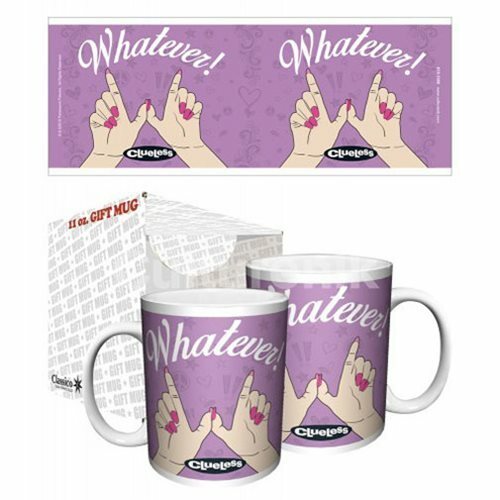 The word "Whatever" appears on the mug. Hand wash only. Not dishwasher safe. Do not microwave. Measures approximately 5 inches x 4 inches 4 inches. Ages 14 and up.